Hello sweeties!!! I am April, do you remember me? We have learned together how to create cute Heart Earrings! 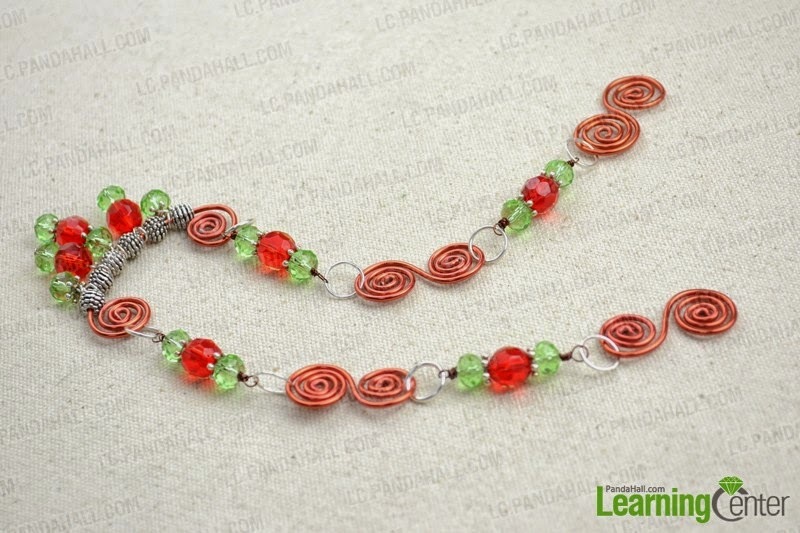 Today I would love to share with you an easy to make necklace with beads and wire! Are you ready? 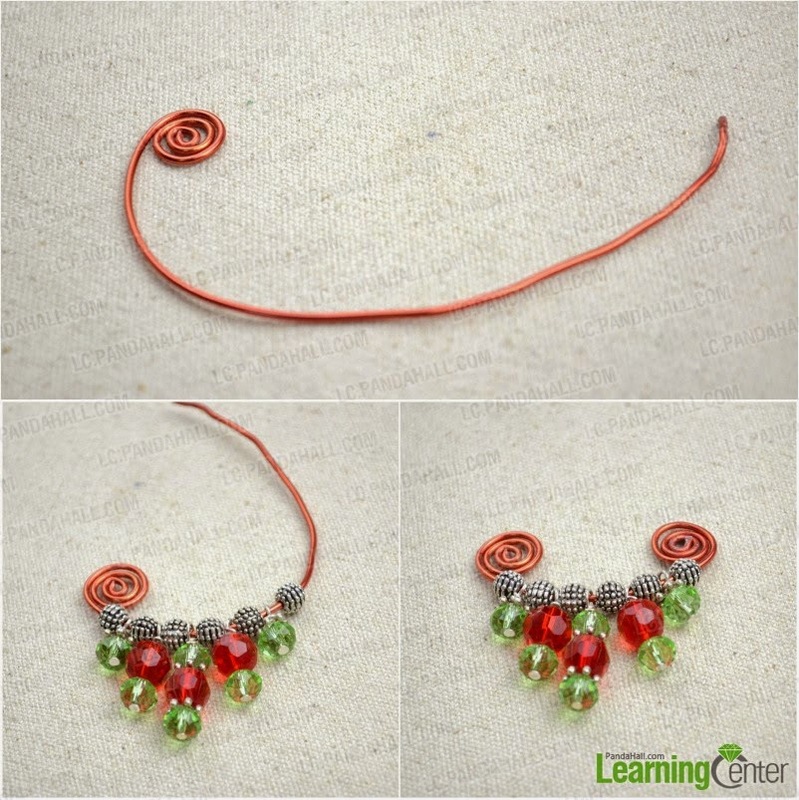 Don’t be scared with the new techniques that we are going to use, actually this necklace is really fun to make it. Let’s do one step every time. 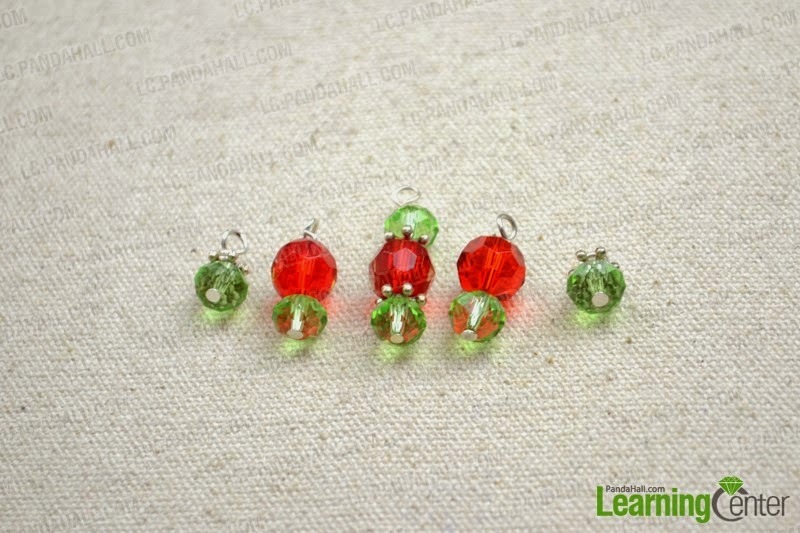 First we are going to prepare the dangles for the necklace. This easy! 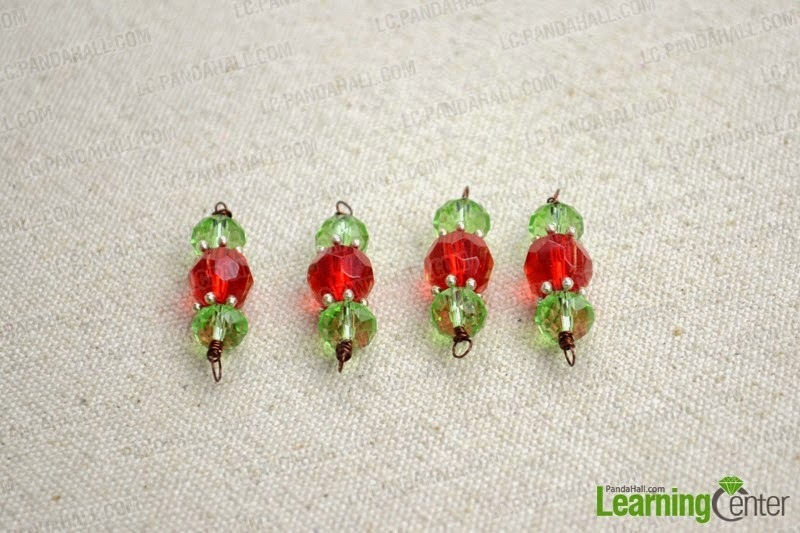 Decide which beads you are going to use and add them to the headpins. 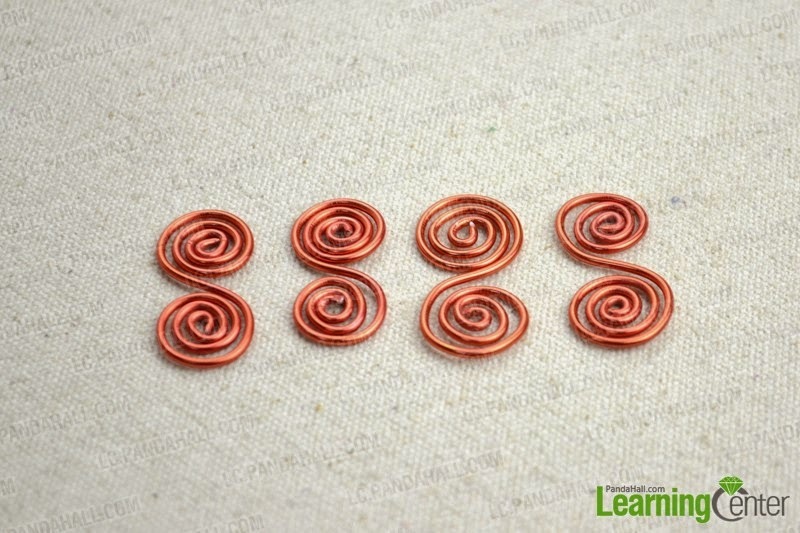 Create a loop to the end of the pins and wrap the leftover wire. Let’s do five different pieces! Now we are ready to create the beaded connectors for the chain. We are going to do what we have done for the dangle pars, but this time we are going to use the brass wire instead of headpins. 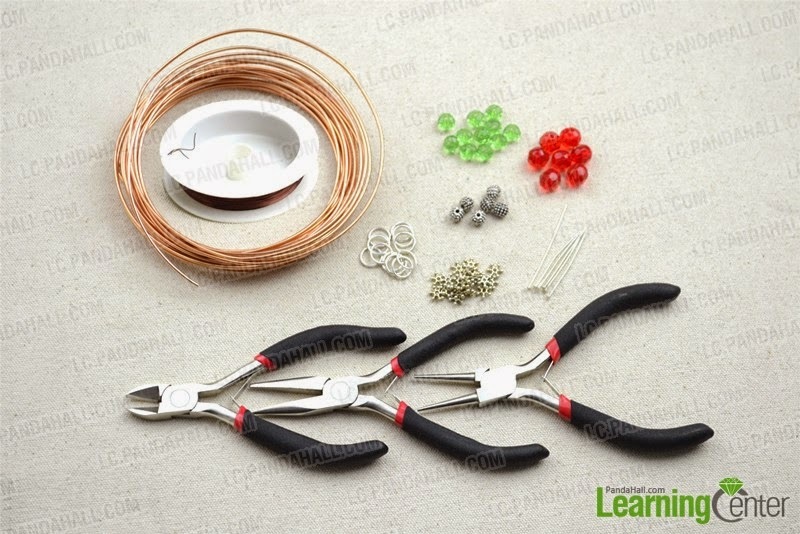 Just cut a small piece of the wire, use the beads and make the same loops at each end. We have completed the beaded part and now we are going to use mostly the wire. Let’s do some S-Spiral components. It might be a little bit difficult in the beginning, but when you do a couple of them, you will see that it is really easy to craft them. Just use a piece of the aluminum wire (let’s say 10cm long) and curve two ends inwards in opposite direction. That’s it! Last part is to make the main pendant of the necklace. Again we will use a piece of aluminium wire, this time a little bit longer (20cm). Curve again the first end inwards several times. Thread one a Tibetan bead and then a dangle bead. Repeat this until you use the tibetan beads and the dangle parts as you wish. Finally make a spiral at the other end of the wire. 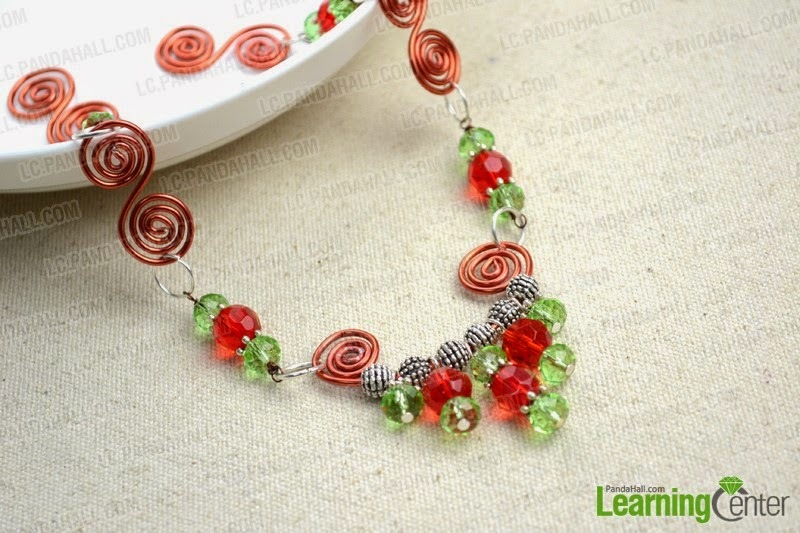 Use the Jump rings to connect the main pendant with the rest of the dangle bead parts and the S-Spiral wire and you are done! Isn’t it lovely? 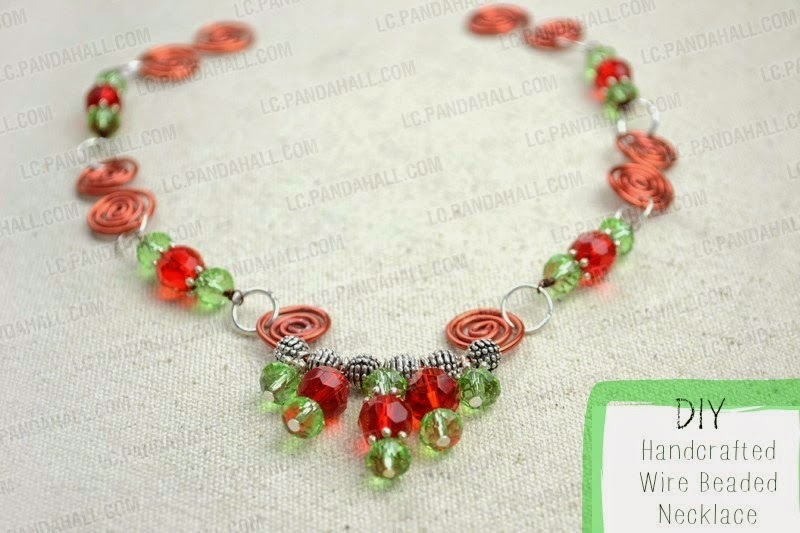 I like this necklace because with your imagination you can create masterpieces! I have to admit that when I use this necklace I said…wow this is really dificult to make! But I think that April explained it with great details how to make it and now I am ready to try it myself! What about you?